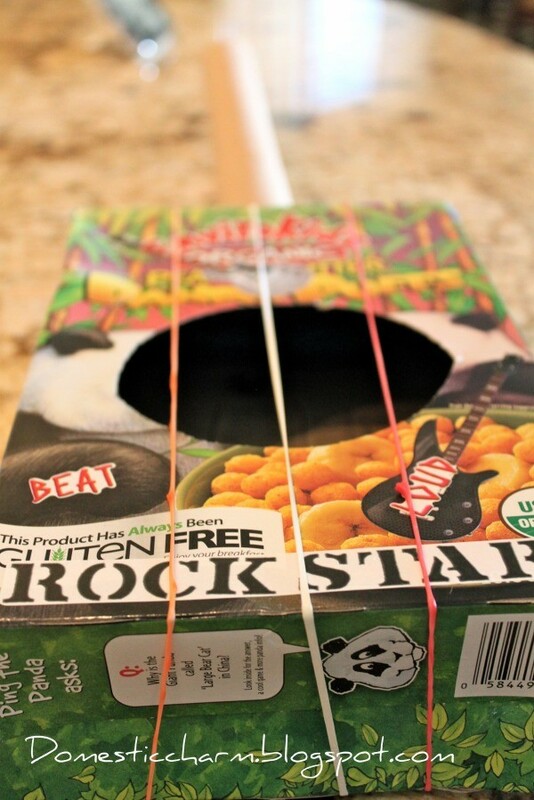 Let your young children rock on with a fun to make cereal box guitar. 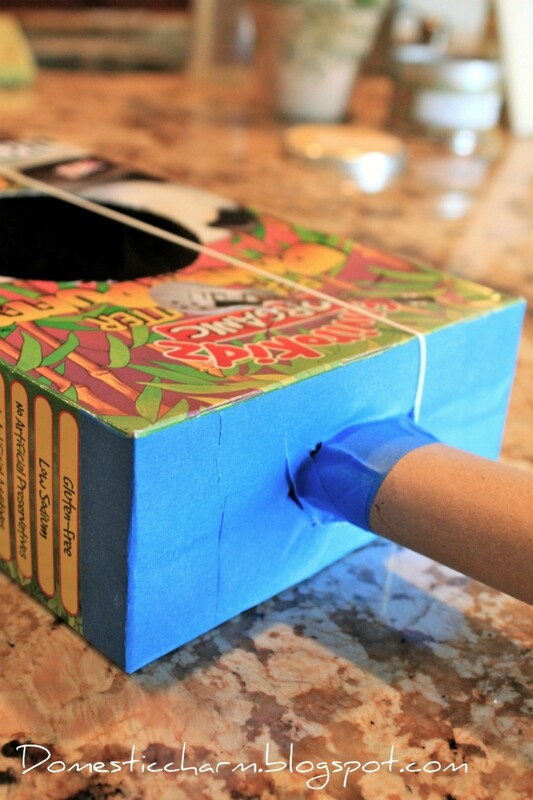 This is a guide about making a cereal box guitar. Make a guitar with your child from recycled materials you can find around the house. First tape the top of your box closed. Now trace a circle in the middle of the cereal box, I used the masking tape roll to make my circle. Cut out the circle; if you have a craft knife it will be much easier then using scissors. Use the craft knife to now cut an "x" shape at the center of the top of the box. 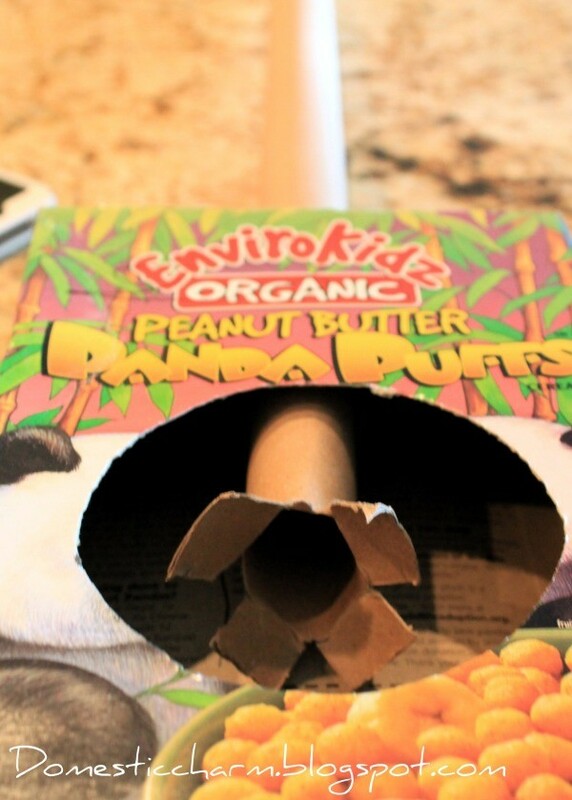 Make sure it is large enough to push the paper towel roll through, but not so big that it falls right through. Now push the paper towel roll through the "x" that you cut. Make four small cuts at the end of the roll that is inside the cereal box. Place tape over it and push it back up to the top of the box. Secure with extra tape inside and on top. Now you can add your rubber bands. However, I could only find one rubber band in our house. So we used silly bands for the other strings. Have your child decorate the box with stickers, markers, paint, or anything else they might like to put on it. This can also be done at the very beginning. Now you can sit back and let your little one entertain you! All things are new again. Thanks for the reminder of home made toys from my childhood.